FS: I travelled around the island; started in Colombo and went to Kandy, Ella, Arugam Bay, Unawatuna & Hikkaduwa. 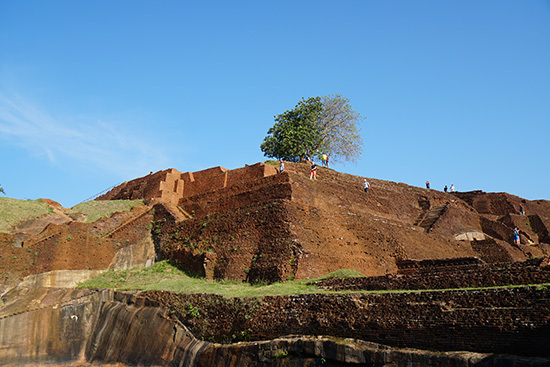 LM: I started off in Negombo and then made my way around Sri Lanka via Anuradhapura, Sigiriya, Polonnaruwa, Dambulla, Galle, Hikkaduwa, Midigama, Mirissa, Hiriketiya and Ella. FS: I loved visiting the Temple of the Sacred Tooth Relic in Kandy, it is located next to Kandy Lake in an idyllic setting. LM: The diversity. 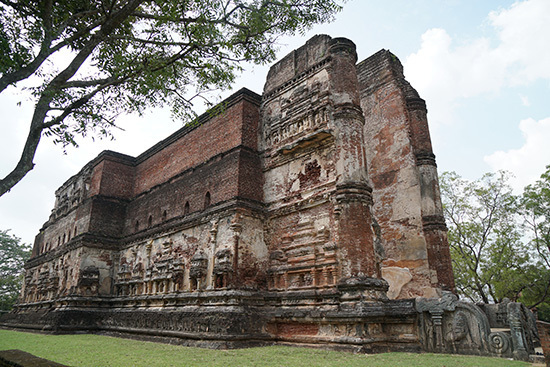 The north is rich in crumbling ancient ruins, dome shaped Stupas and colourful temples. 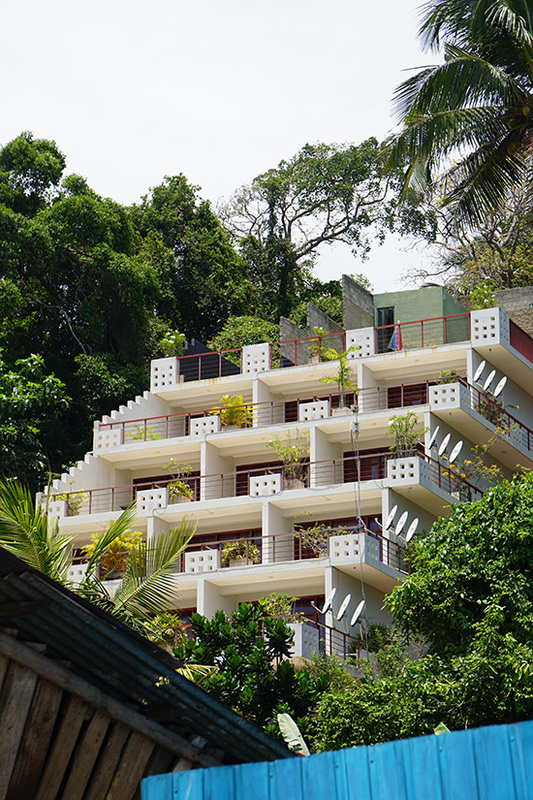 The south is more like a ‘concrete jungle’ with its crowded block-like residential homestays surrounded by contrasting palm trees, banana leaves and other tropical foliage. 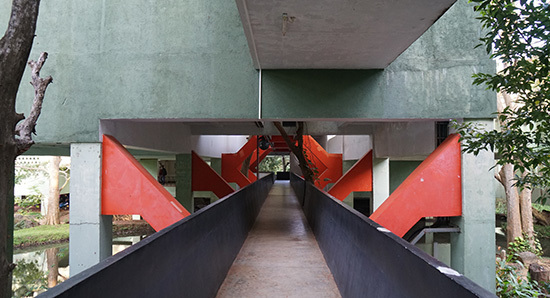 The hill-country is more secluded and the buildings are scattered throughout the hills taking form of either a bulky hotel or a small timber constructed cabin. FS: There is a really cool café/restaurant in Ella called Chill Space. 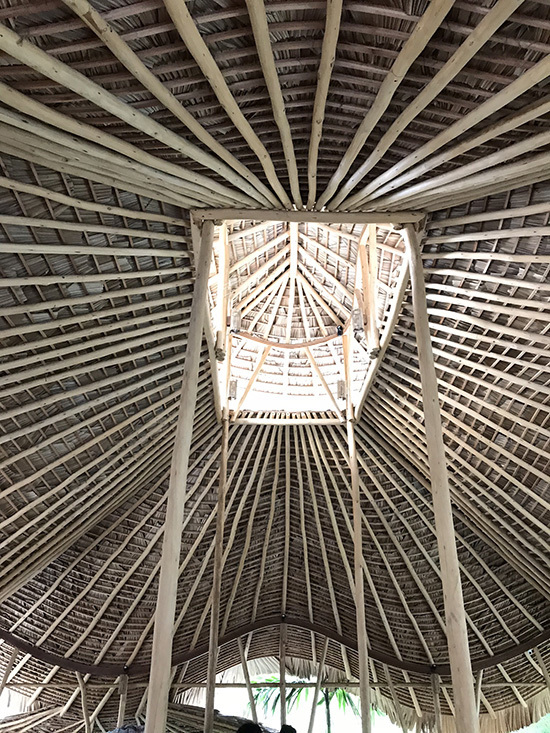 It has the most amazing roof and ceiling made of timber. 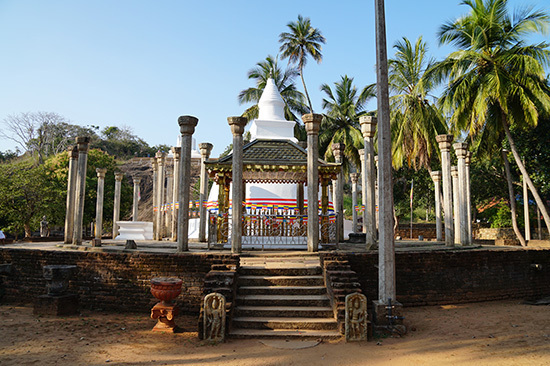 LM: The Cave Temples in Dambulla. Built thousands of years ago at the base of a 150m rock, the still fully functioning monastery is filled with character and texture. All five small caves are unevenly surfaced and intensely decorated from ceiling to floor with colourful religious paintings, along with multiple golden Buddhist structures in all different shapes and sizes surrounding the space. All of this would usually not satiate my minimalist taste, however these caves are just mesmerising. FS: Definitely take the train from Kandy to Ella or vice versa in the early morning. The views were incredible. I cannot recommend this enough! 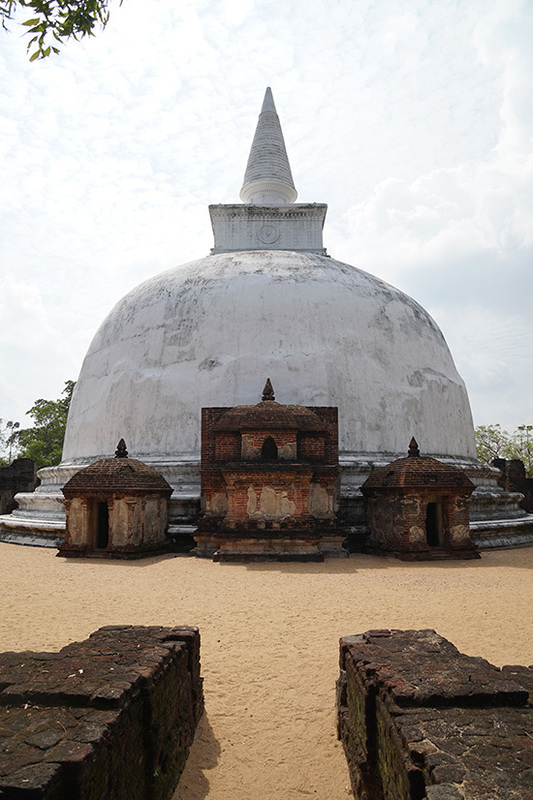 LM: I would recommend the cultural triangle for a real feel of Sri Lankan history and how spiritual the country is. FS: Lovely, the seafood was brilliant and Sri-Lankan curries are delicious. LM: Delicious! Hoppers are great for breakfast, authentic curries from homestays was always incredible but my favourite dish was vegetable Kottu. Although I only managed to have one whilst out there, I highly recommend drinking a passion fruit Lassi when given the chance! FS: I loved tuk-tuk rides, we should have them in London! LM: How much time locals have for people visiting the country and also for themselves. LM: A trip filled with wildlife, culture and tranquillity!